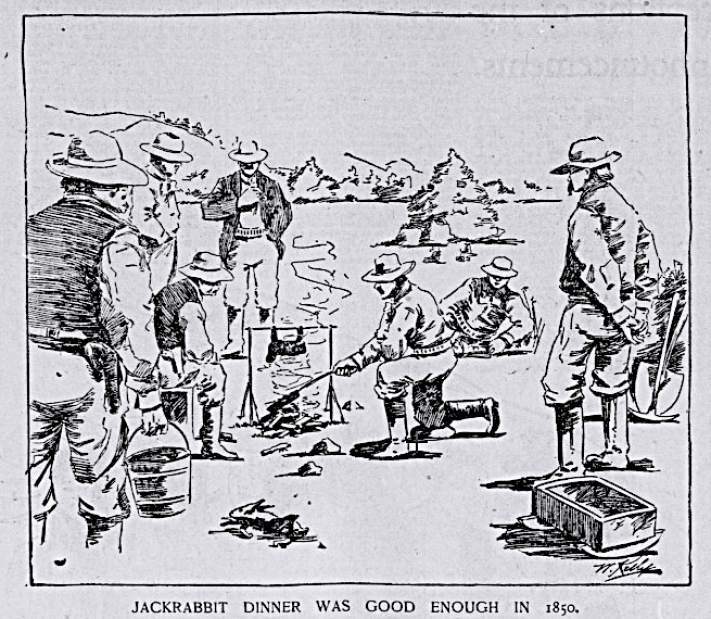 In 1899 Mr. and Mrs. Roucolle entertained a small company at a unique and enjoyable Jackrabbit Dinner. The name cards were disks of cardboard embellished with hand painted jackrabbits. The men were given the front foot of the rabbit for a souvenir. A King’s cake had a large bean hidden in it and whoever found it was to be named Queen for the evening. The Queen was then allowed to name a King for the evening. The other guests were told that whenever the Queen or King drank they had to drink and shout “the Queen (or King) drinks!” If they failed to do so, they had to drink an entire glass of water. The evening concluded with original songs, remarks or recitations with special pleasures accorded the group by the singing of the French National Air by the entire Roucolle family. At the beginning of 1899, the local papers published a few statistics about Larimer County products. The list mentioned that Larimer County had 150,000 pounds of butter. Keye’s Brothers, who owned and operated two creameries in this county, said that this total was terribly in error. They claimed that they marketed and manufactured three times that amount, to say nothing of the thousands of pounds from the ranches. The Keyes’ Brothers claimed these two sources alone would doubtless swell those figures to at least ten times the amount given by the local paper. In 1899, a majority of the stock of the Courier Printing and Publishing Co. was sold and transferred to Carl Anderson, Maude Anderson and Charles Miller. The company reorganized with Ansel Watrous serving as president. In 1899, architect Montezuma Fuller completed plans and specifications for a building for Robert E. Trimble, to be erected on College Avenue south of Shield’s Tailor Shop. In 1899 a large crowd of ladies attended the millinery opening of Mrs. Laura Trimbles where they saw a fine array of the latest up-to-date hats, bonnets, ribbons, laces and flowers so dear to a woman’s heart. In 1899 W.W. Sullivan was proudly wearing a fine gold watch charm, presented by the employees of the Courier office. It had been engraved on one side with the dates “1886-1899” showing the time he was connected with that paper as business manager. In 1899 a few of the young ladies of the city organized a cooking club. They met at the home of Miss Minnie Scott and enjoyed a luncheon of their own cooking consisting of salads, Saratoga chips, buns, pickles, gelatin, cake and cocoa. The remainder of the afternoon was spent having a social time. In 1899 the Wells Fargo Express Company took charge of all express business on the Colorado and Southern. P.B. Leonard was named agent. In 1899 a group of interested spectators assembled at the rooms of Dr. And Mrs. Tigner at the Linden Hotel to witness the operation of an x-ray machine. All present were granted the privilege of investigating into the mysteries of this wonderful search light which penetrated into the depths heretofore unsolved. Several were also given electric treatments and all passed a pleasant evening. 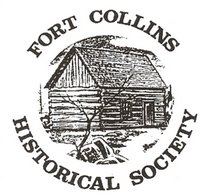 In 1899 the paper announced that the local patrons of Fort Collins dairies were reporting a scarcity of cream and milk, which they attributed to a great percentage of feed being given to sheep to the detriment of dairy stock. In 1899 the First National Bank received a national Cannon-Breach, screw door burglarproof bank safe, having sold their old safe to the bank at Eaton. This new piece of furniture was one of the latest inventions and is said to be absolutely safe from the attacks of burglars, as the door is screwed in and then locked so that no possible cavity is left into which powder could be blown. It is also too thick to be drilled out in any way. The 4th of July at Stove Prairie in 1899 was very unique. W.W. Degge, managing editor of the Western Churchman, Denver, made opening remarks. Everyone sang the Star Spangled Banner, there were singing solos, piano solos, horse racing, wheelbarrow races and sack and hurdle races. In the evening a ball took place on the grounds on a pavilion erected for the occasion. In 1899 ground was broken for a schoolhouse to be built at the corner of Remington and Olive Streets, the building to be ready for occupancy on the first of September. Mr. Herman Schrader was the contractor. In 1899 Dr. Sol Bock, State Veterinarian, was in Fort Collins to look after some horses that were afflicted with glanders. He ordered the animals killed and the barn in which they had been kept burned.